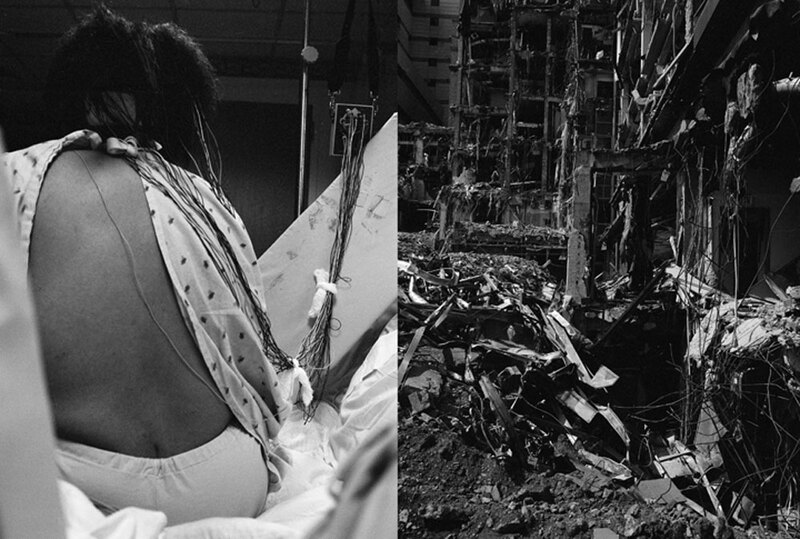 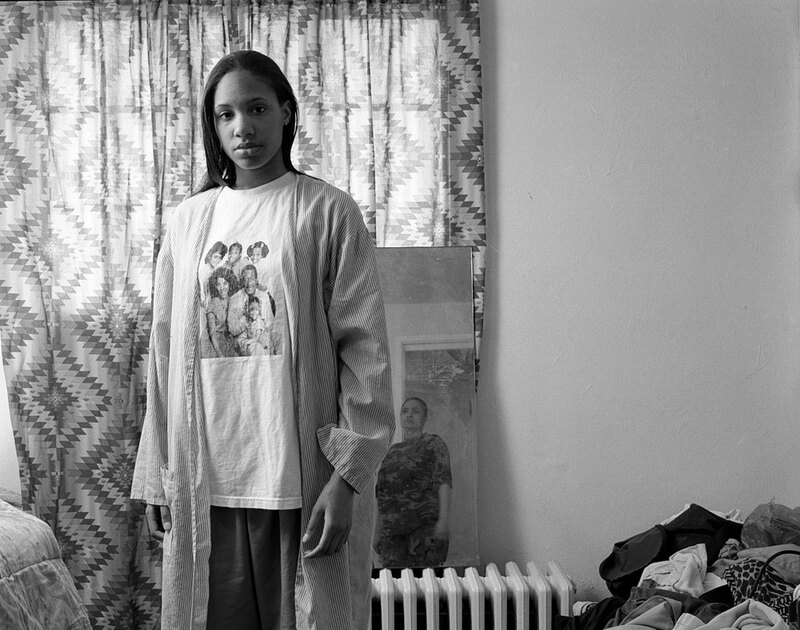 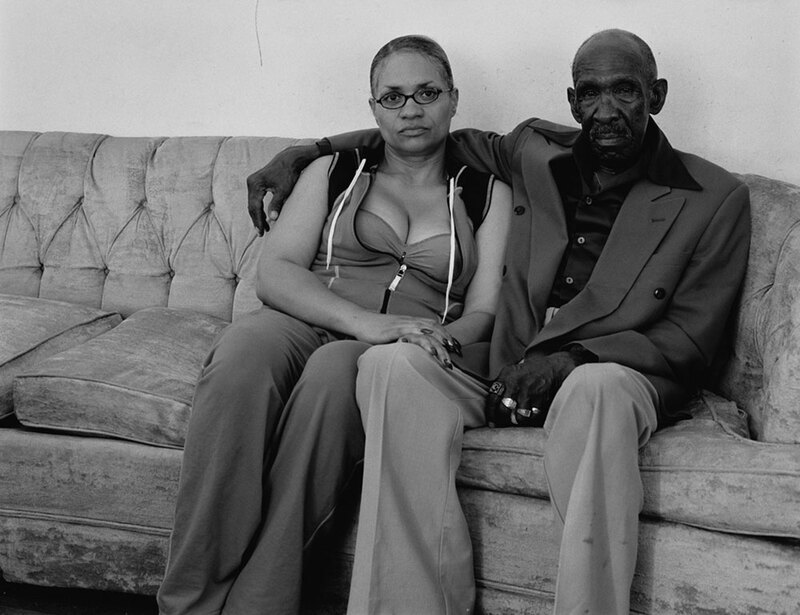 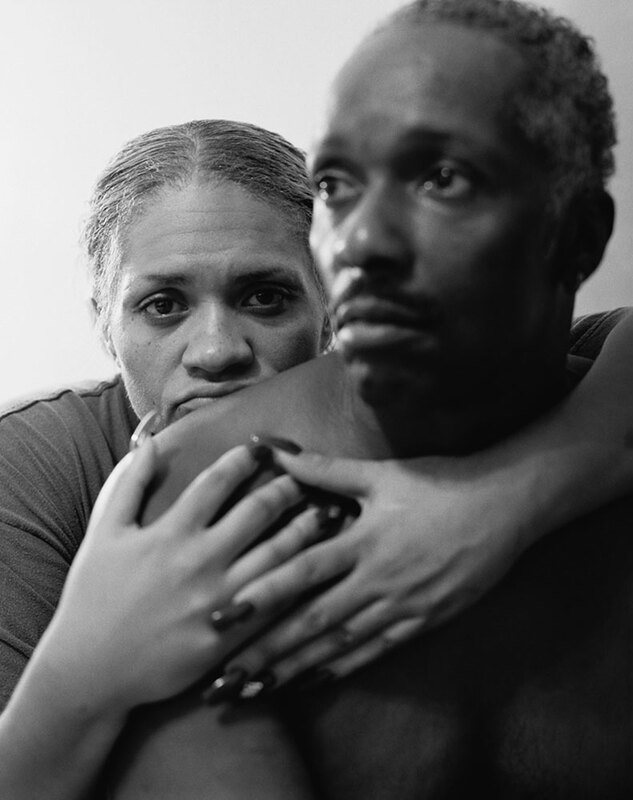 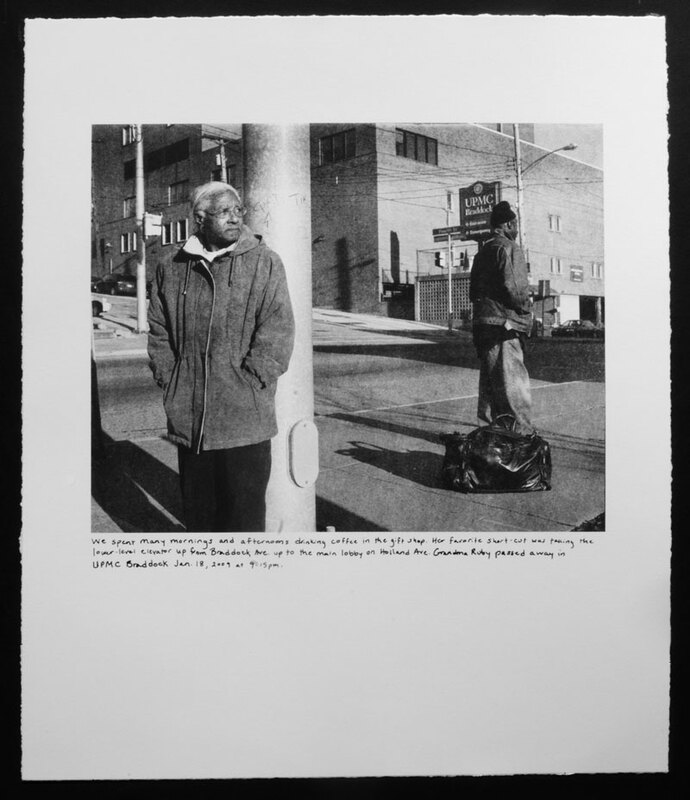 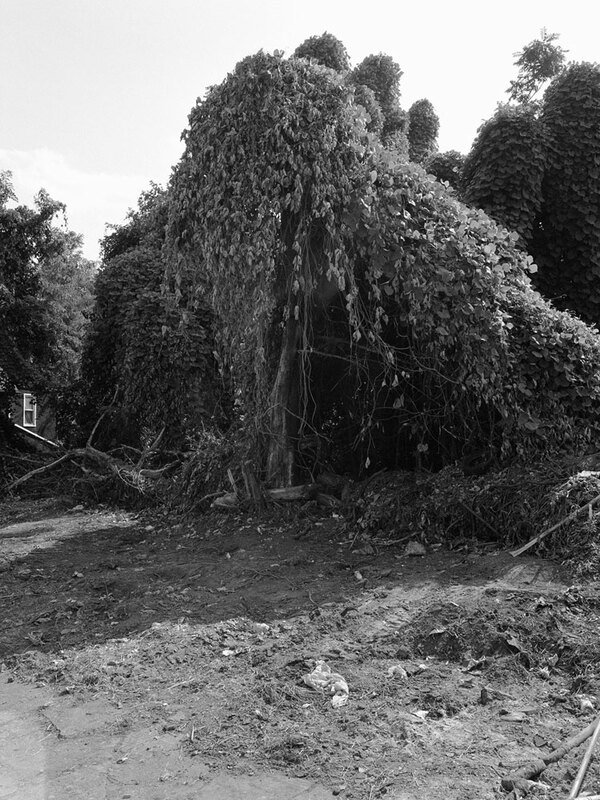 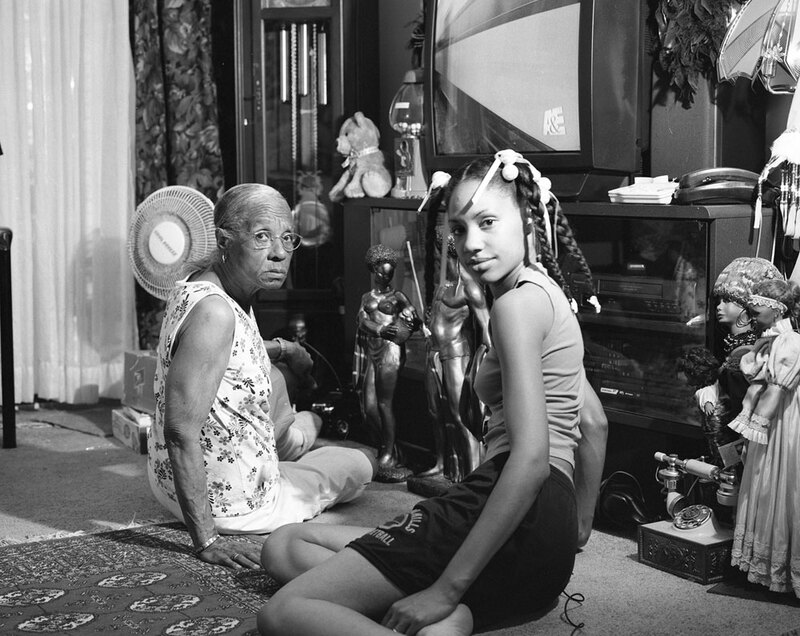 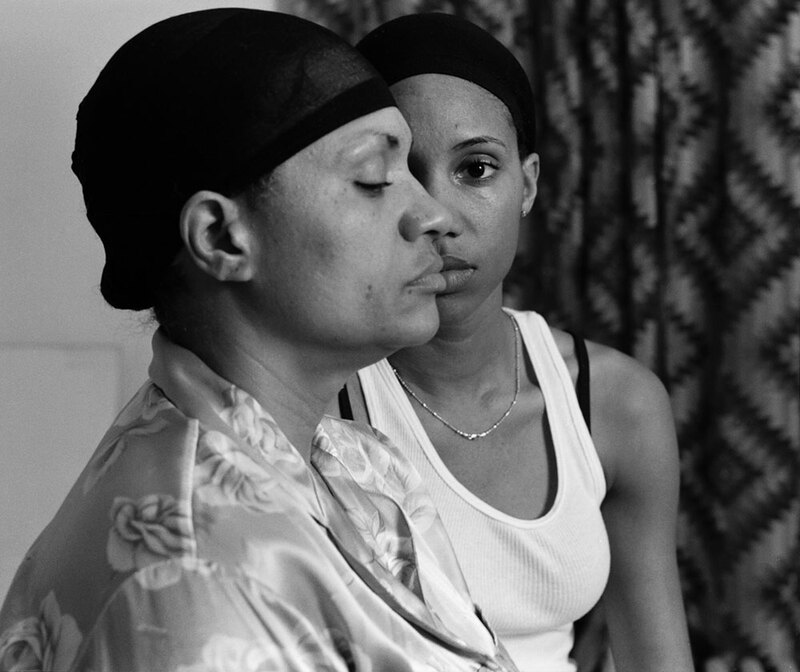 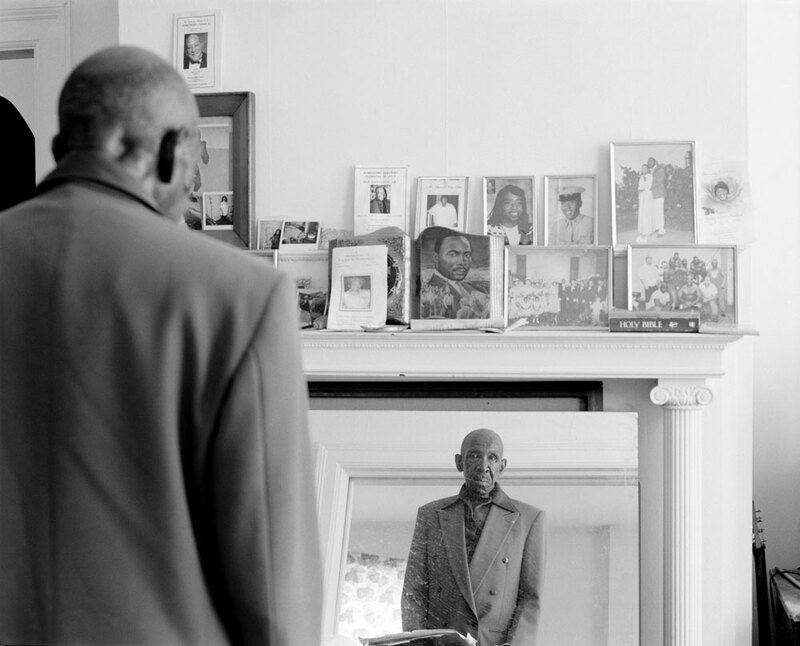 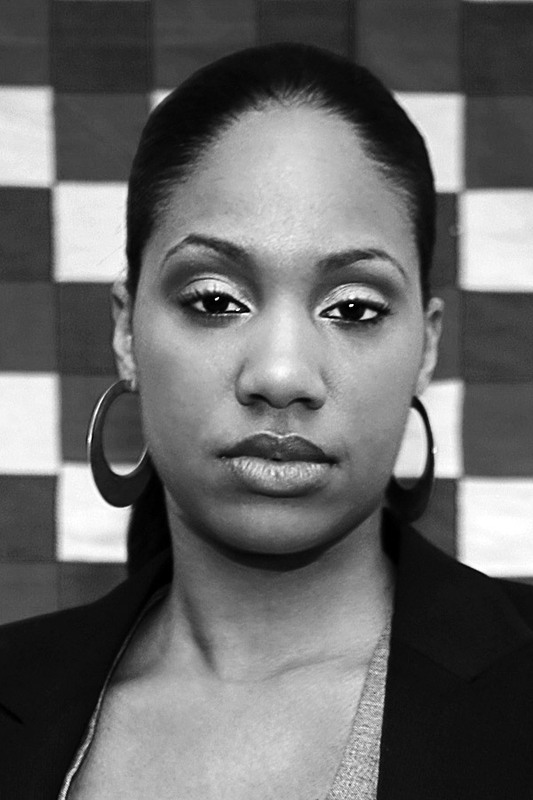 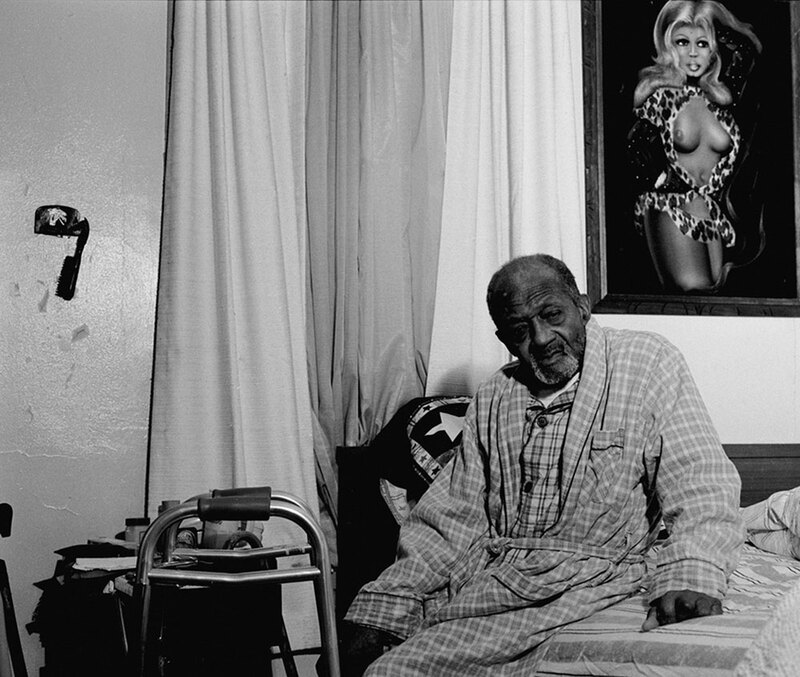 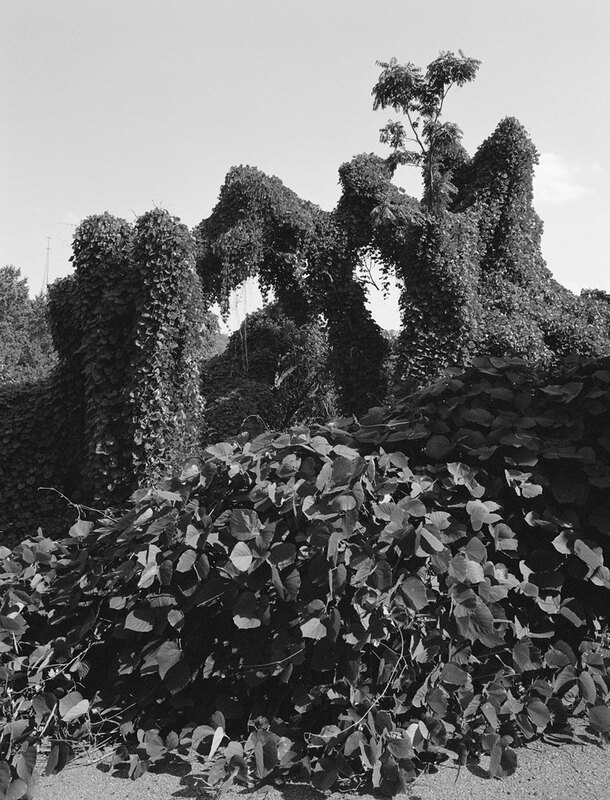 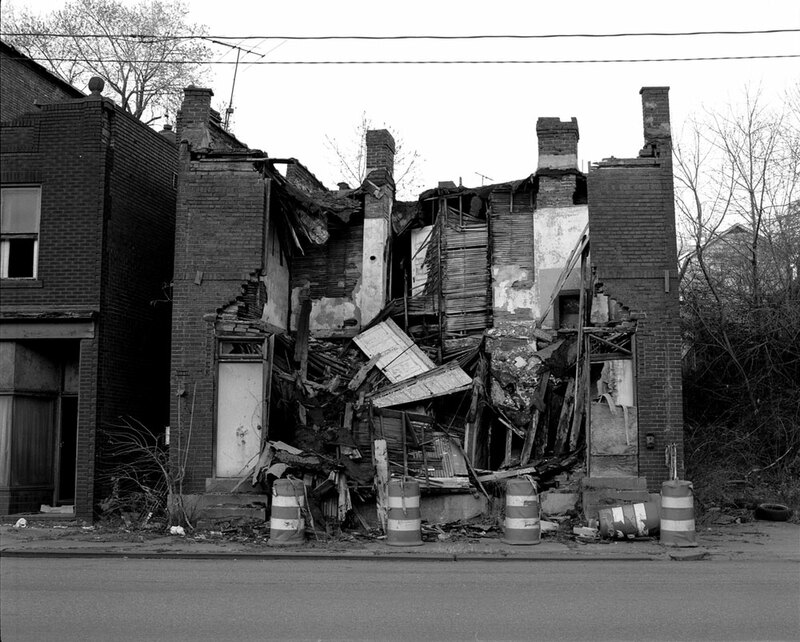 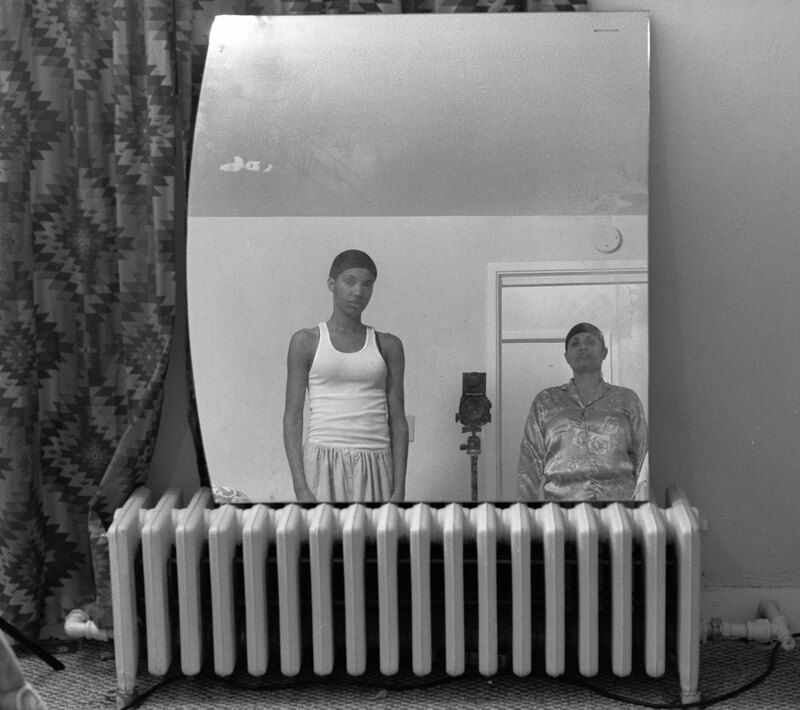 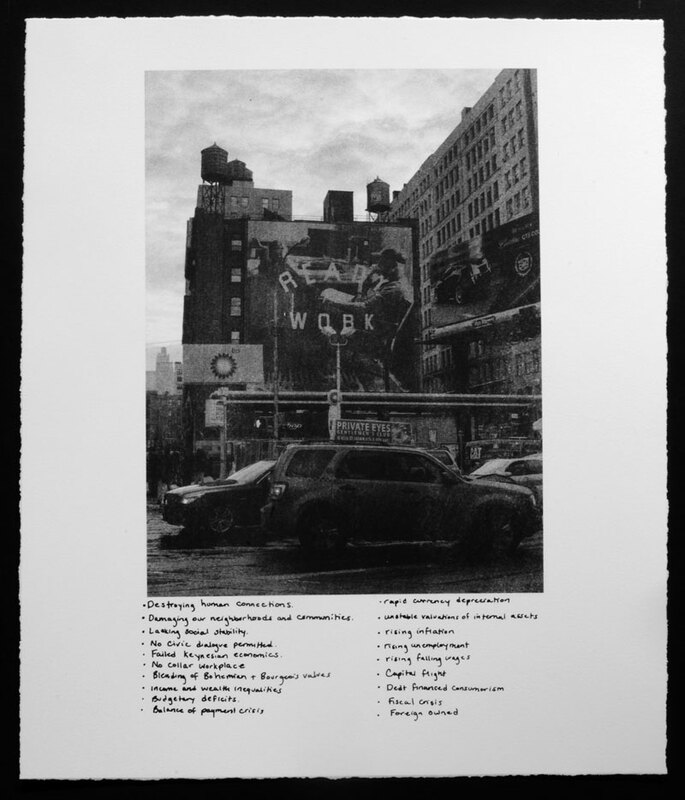 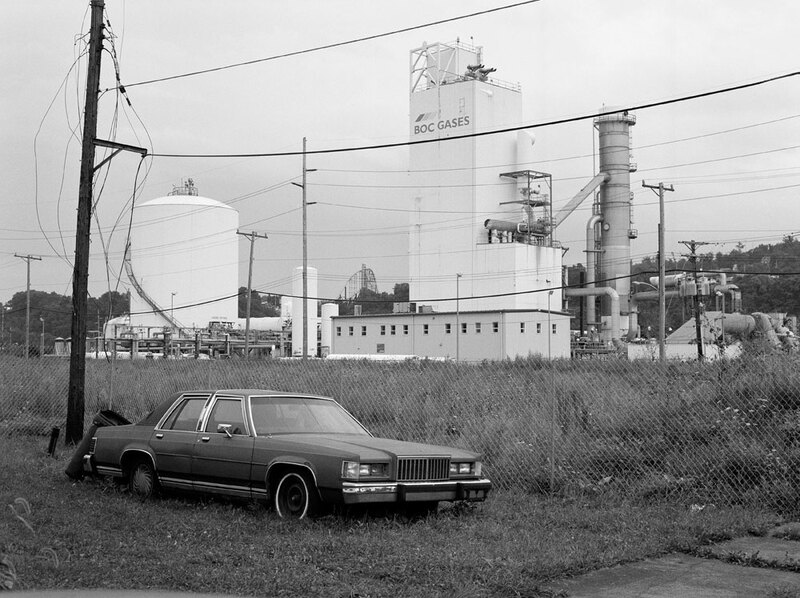 LaToya Ruby Frazier uses the conventions of social documentary and portraiture to expose untold stories of post-industrial decline in the United States. 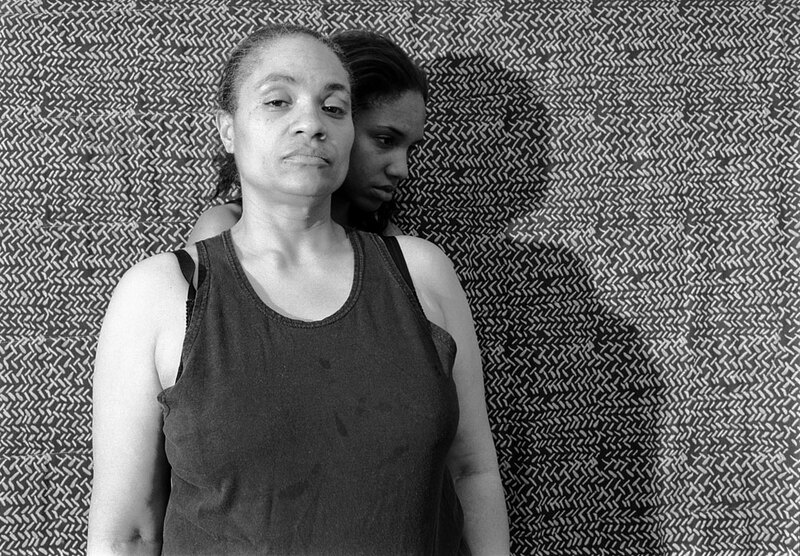 With her series The Notion of Family, Frazier presents images of herself and family members, with particular emphasis of collaborative portraits created with her mother and grandmother, in their hometown of Braddock, Pennsylvania. 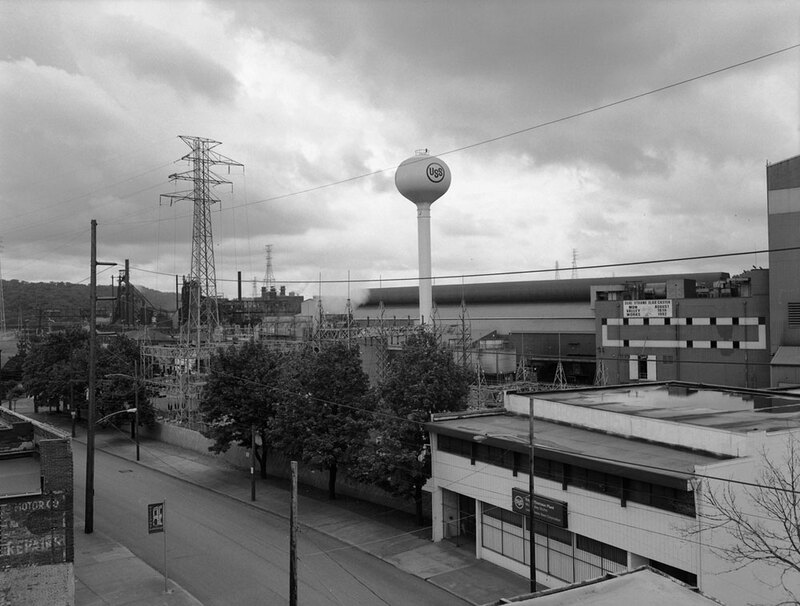 Formerly a centre of steel production, the town is now in economic decline. 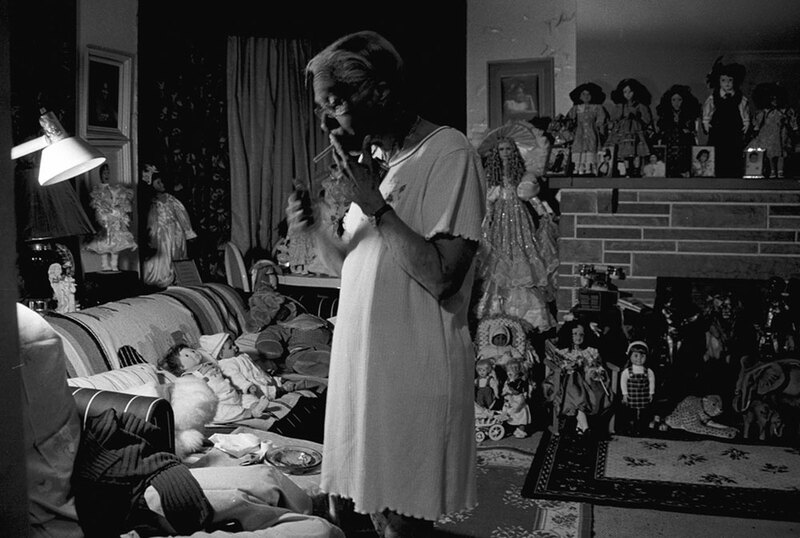 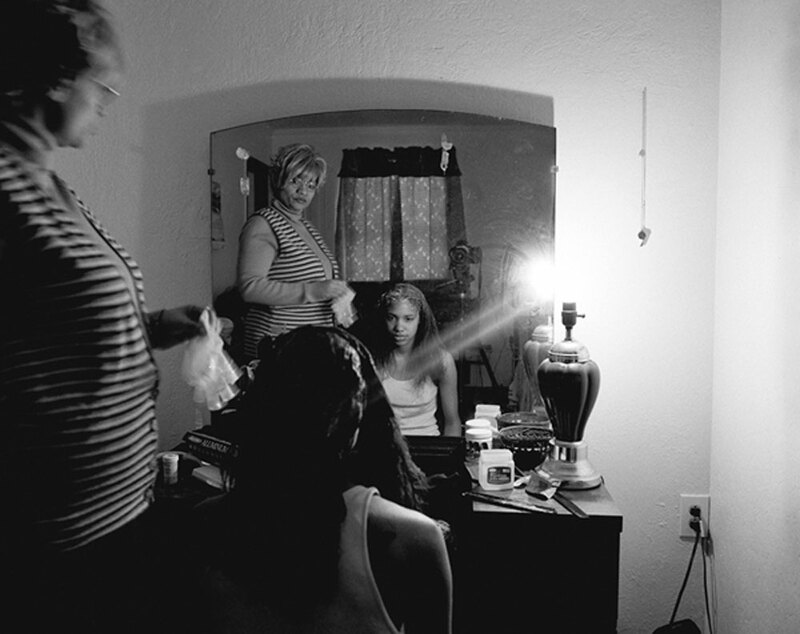 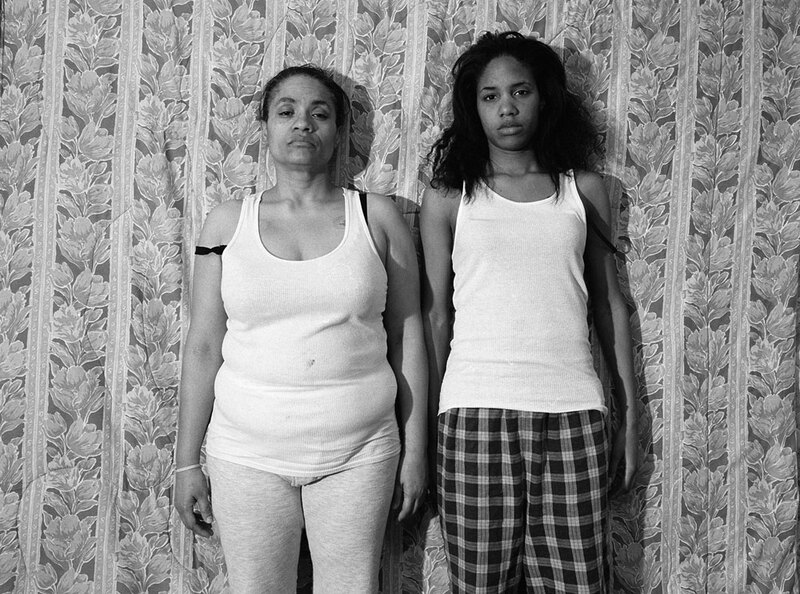 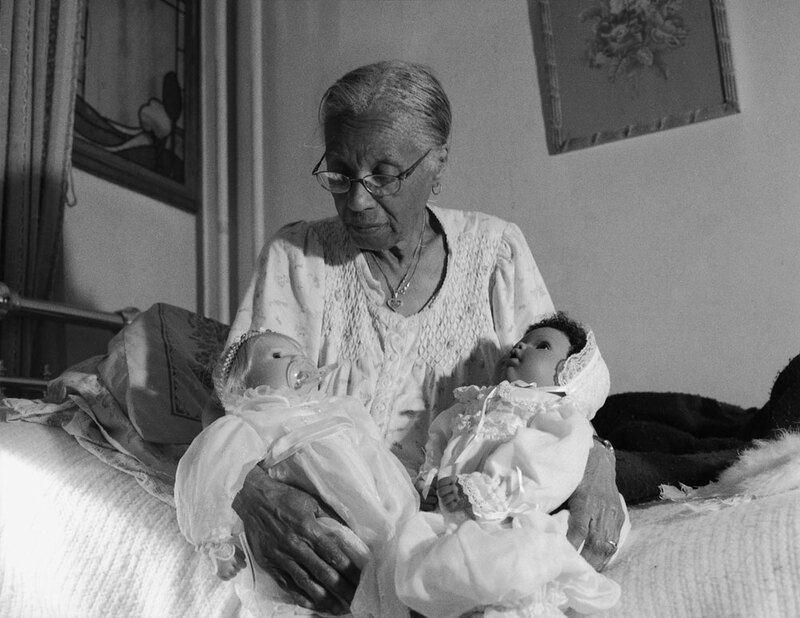 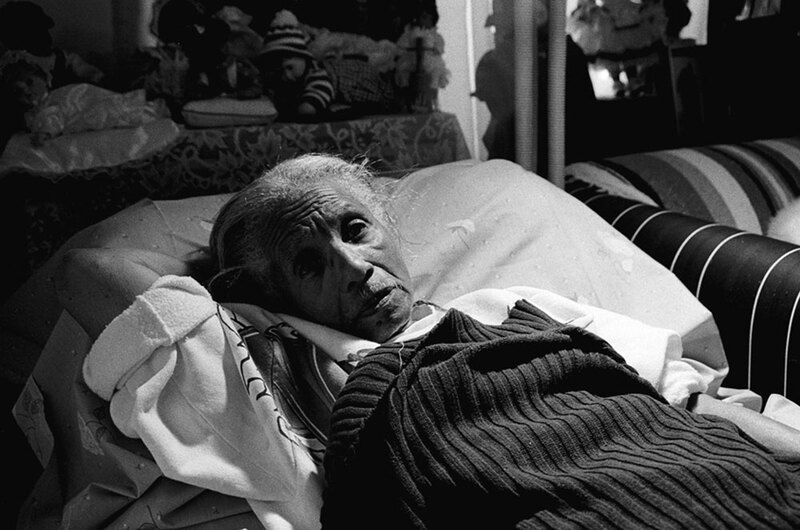 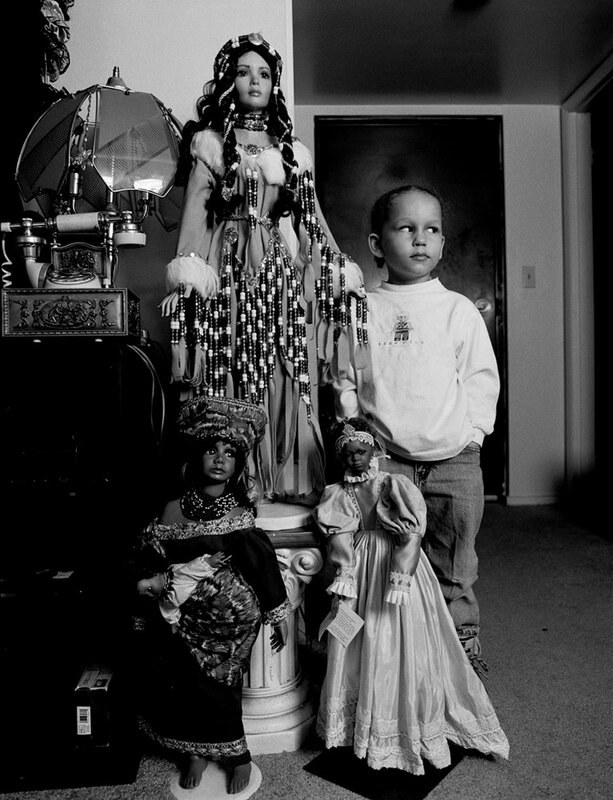 Frazier photographs psychological portraits of three generations of women who have been affected by adverse social and economic circumstances yet share deep and complex ties. 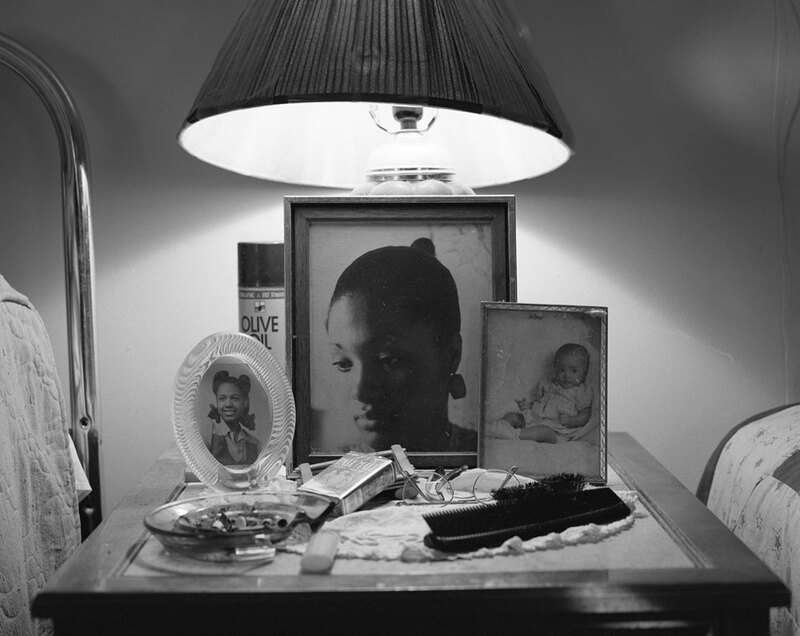 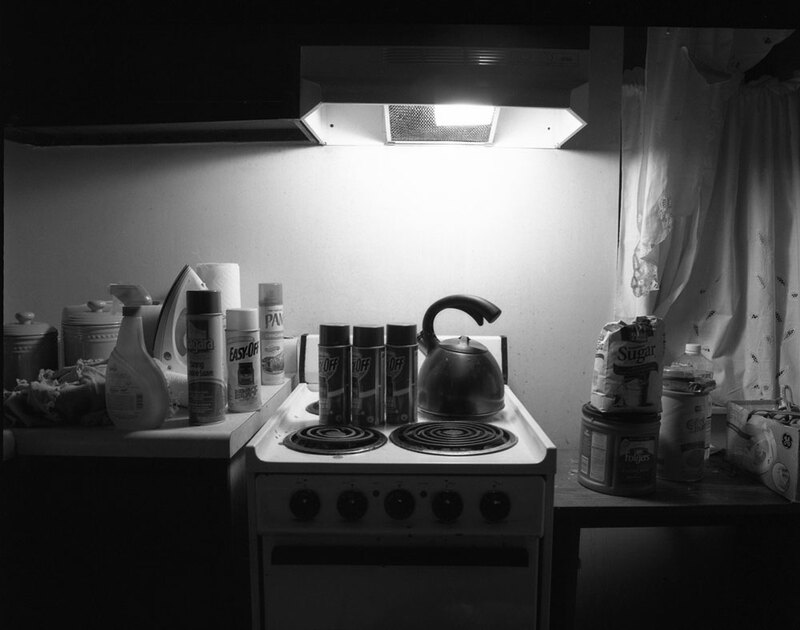 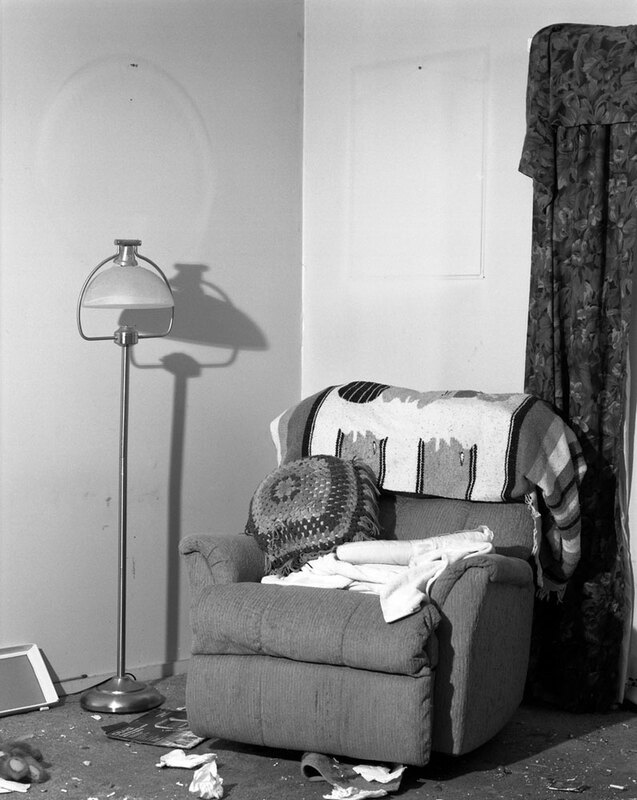 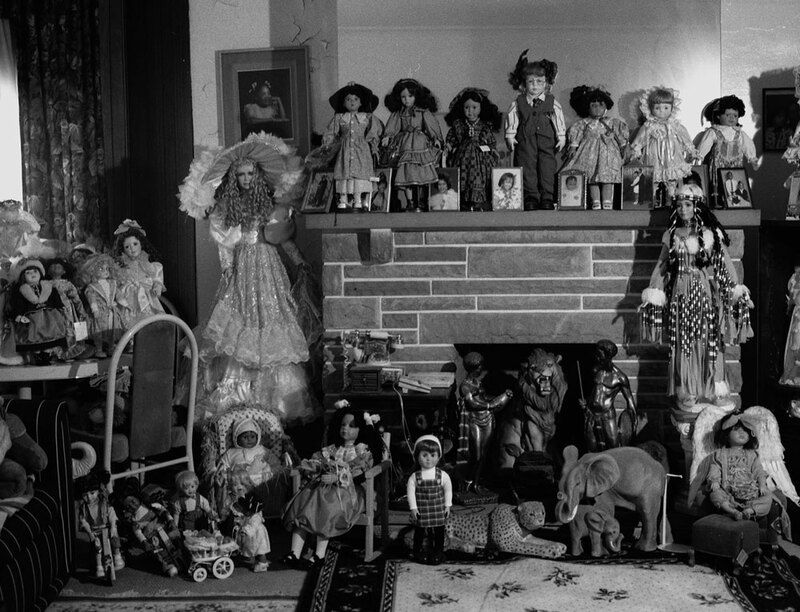 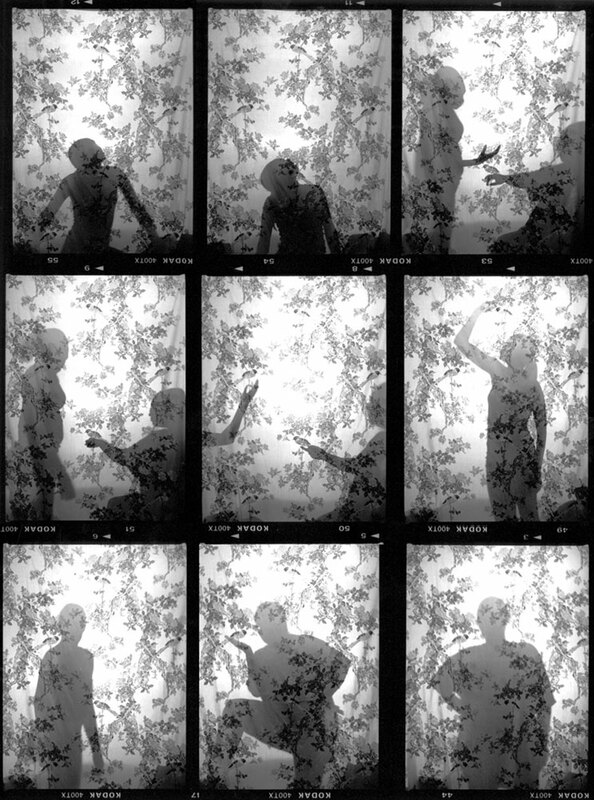 Frazier portrays herself, her mother and her grandmother as one, conveying rich emotions both through their faces and bodies and through images of objects in their home. 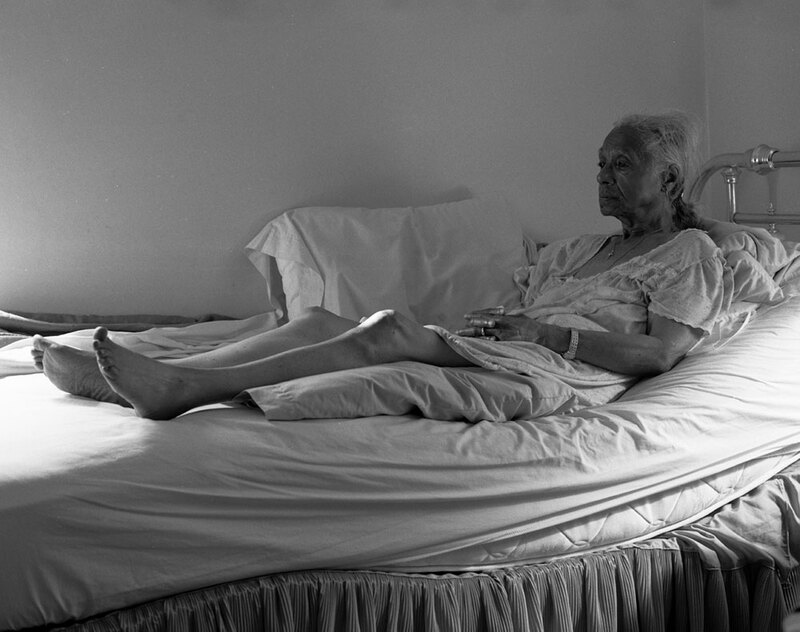 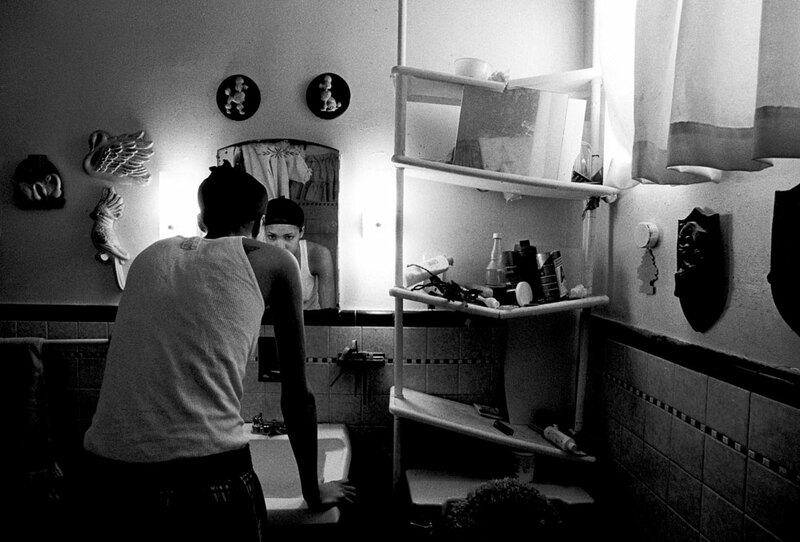 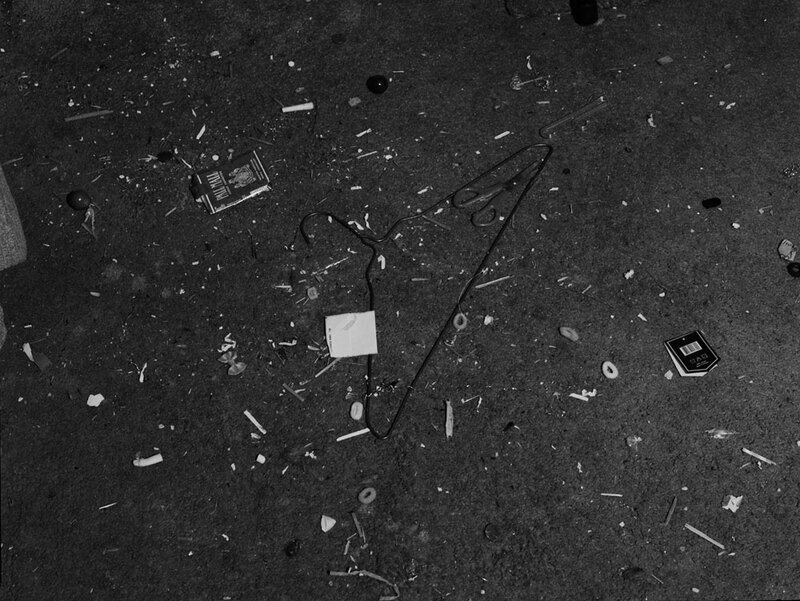 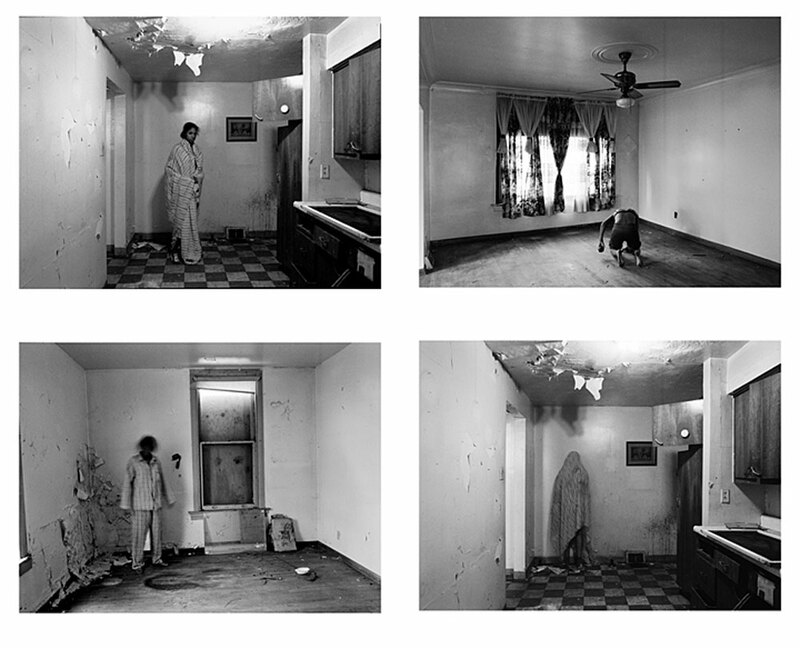 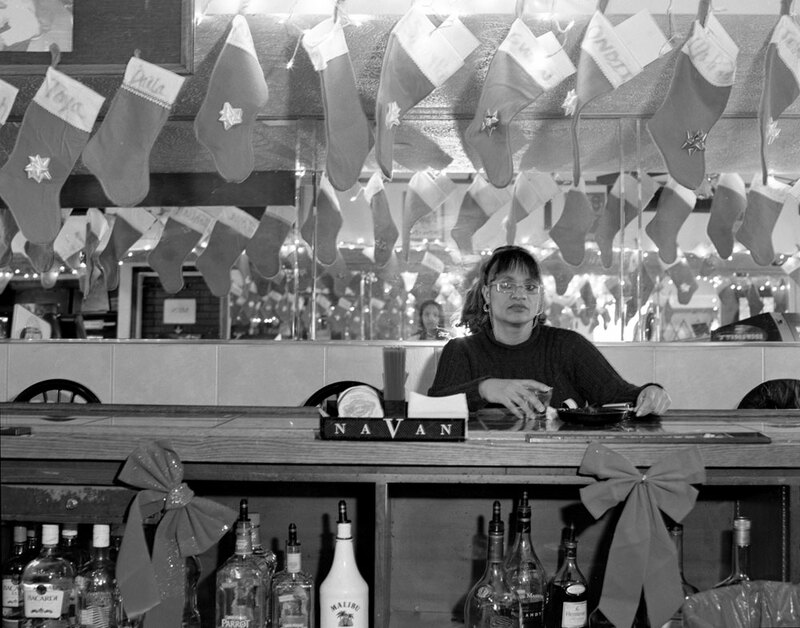 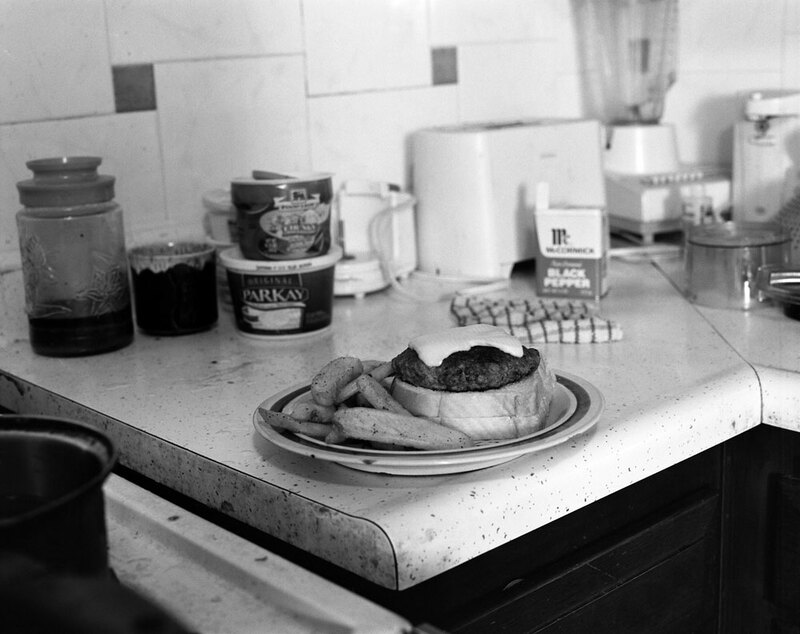 The photographs range from unforgiving and sombre to quietly tender. 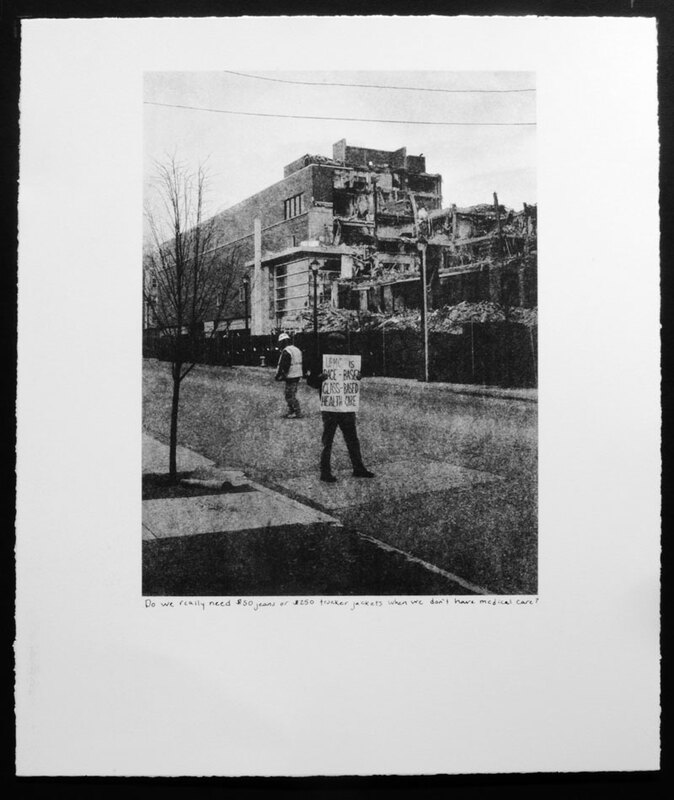 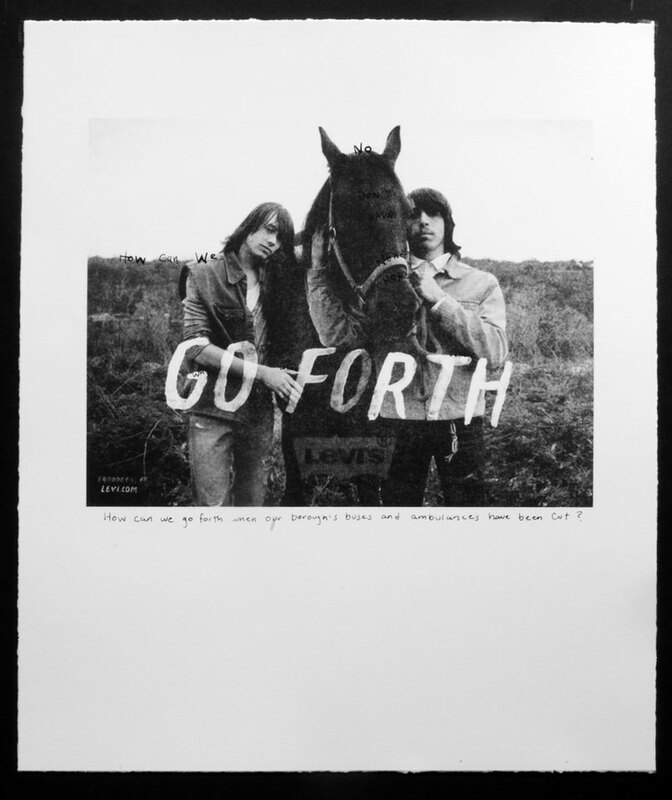 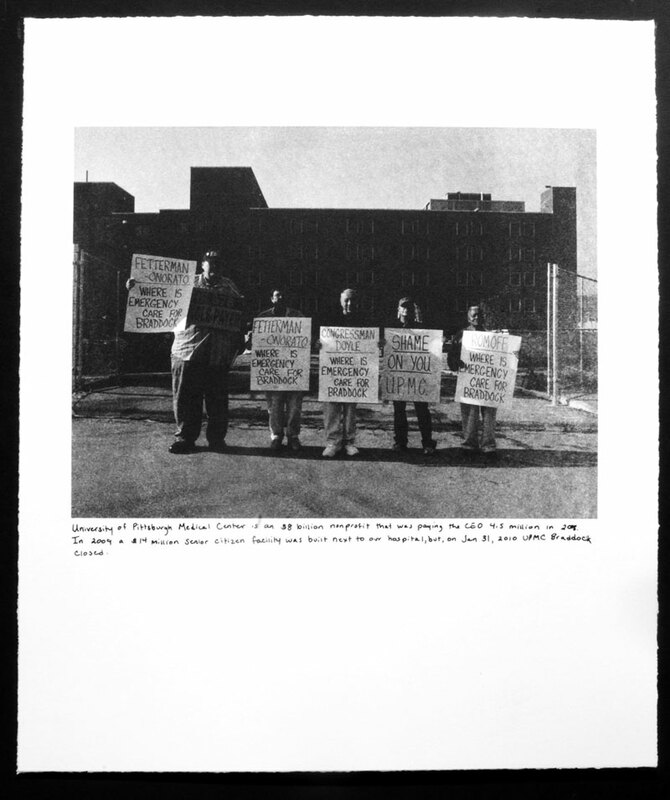 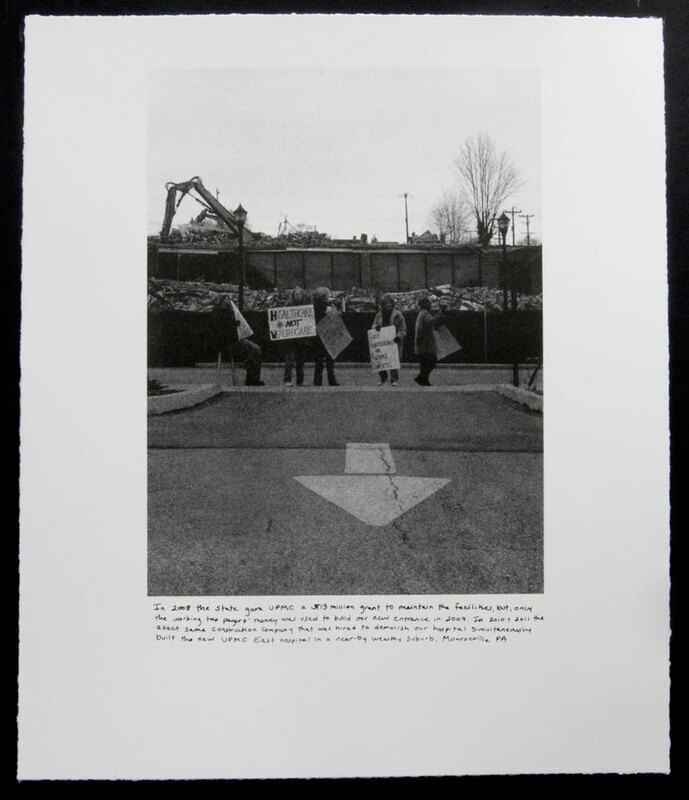 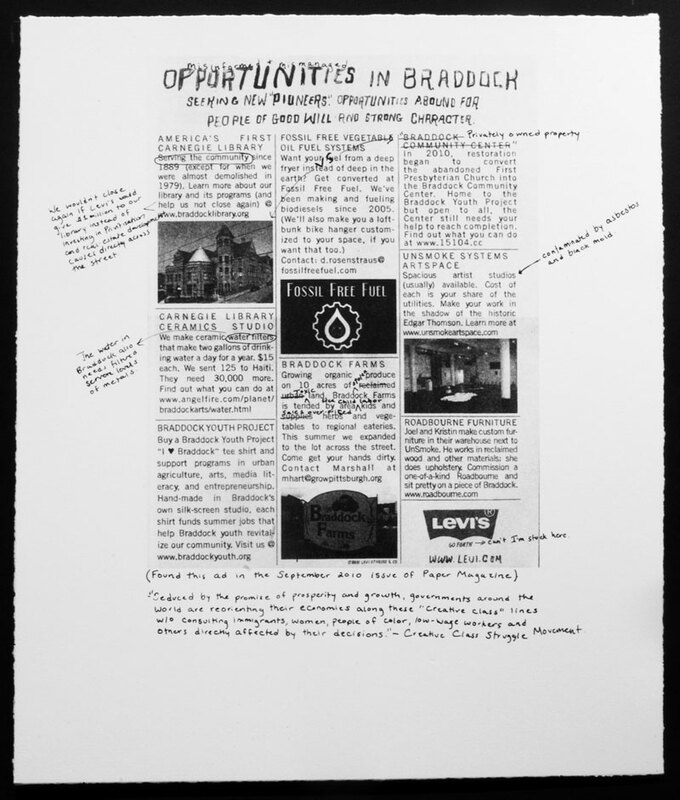 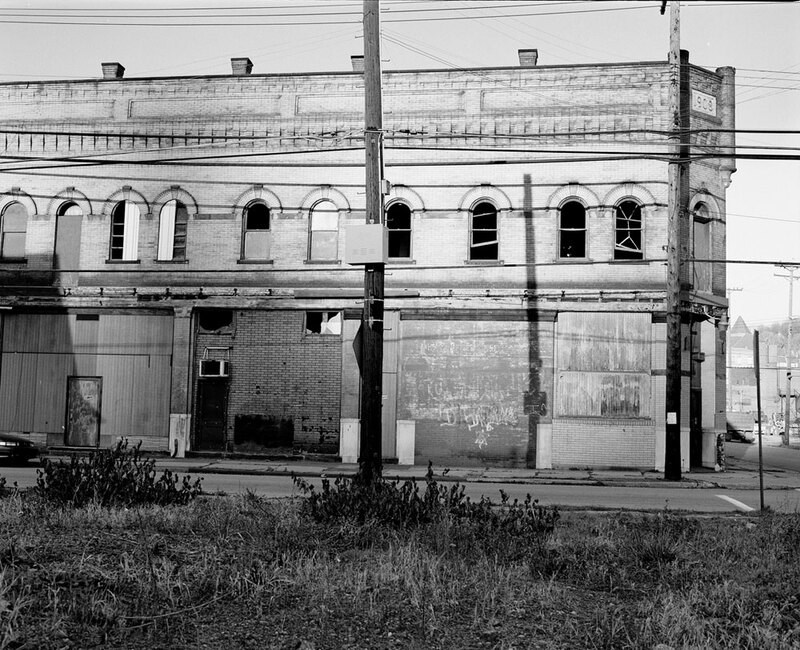 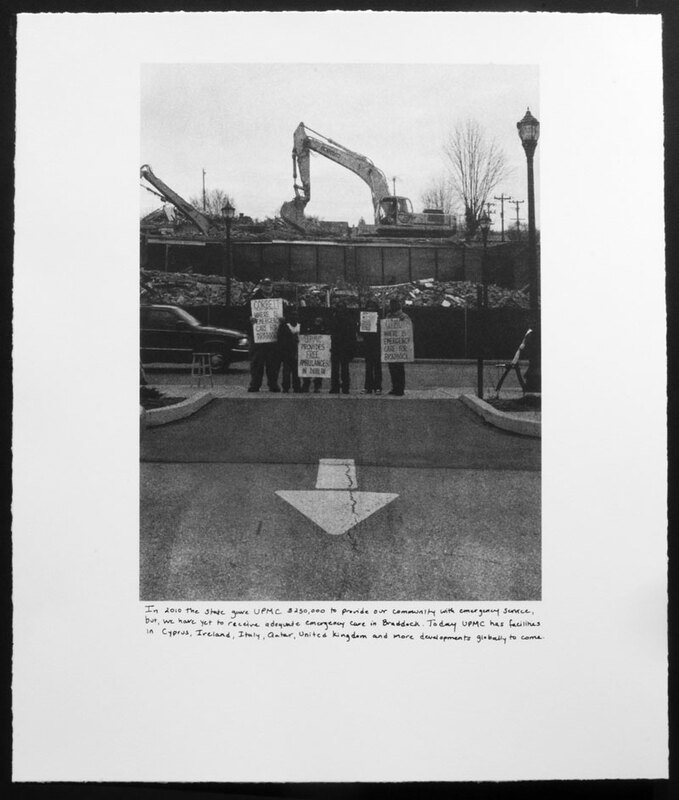 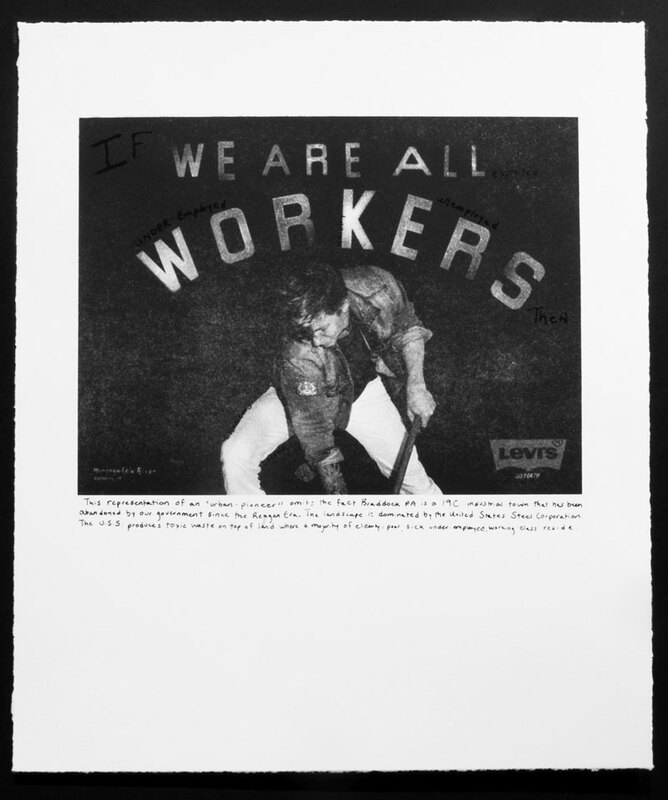 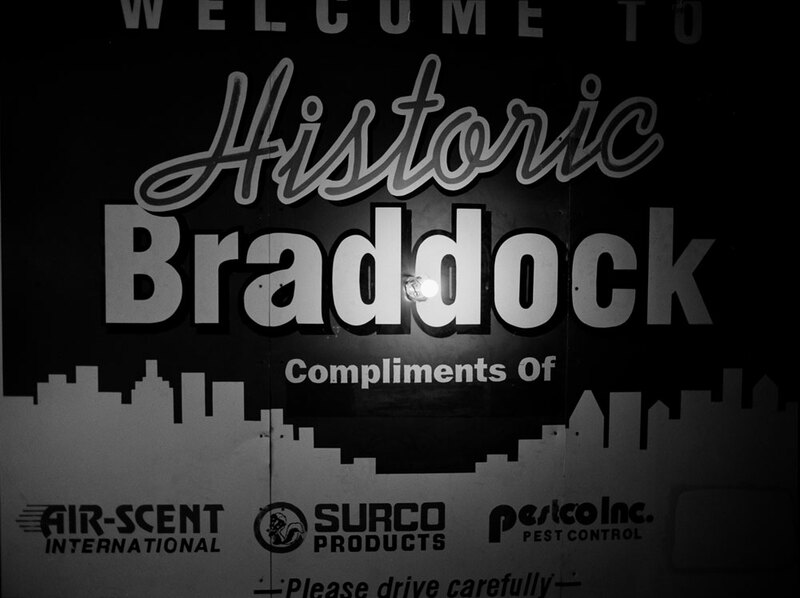 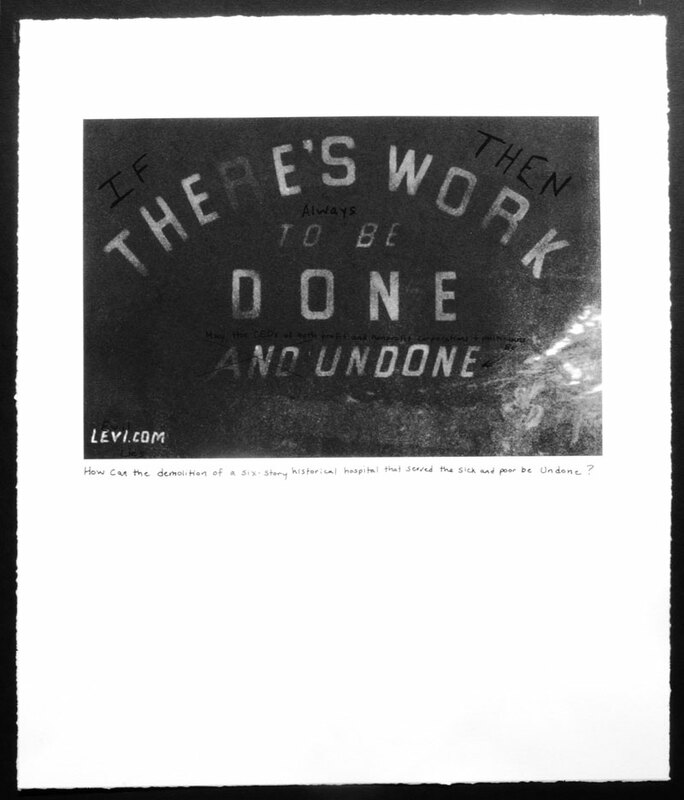 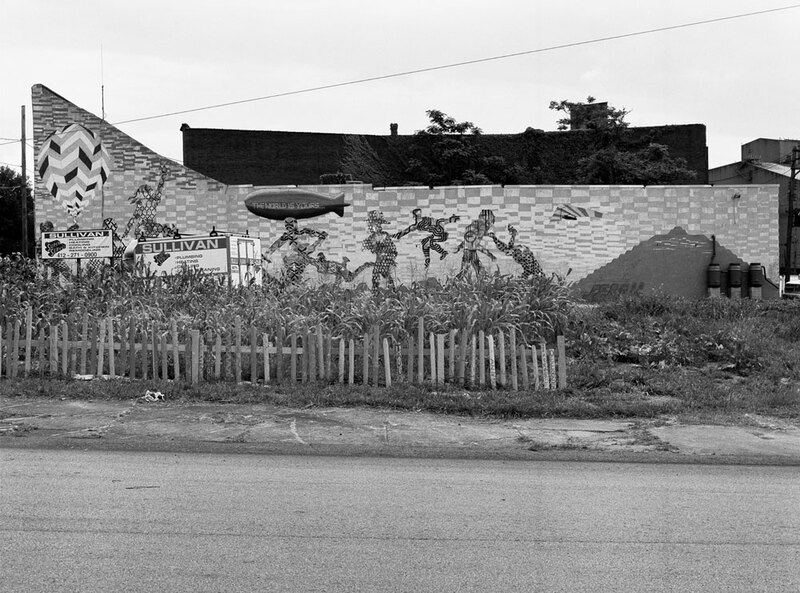 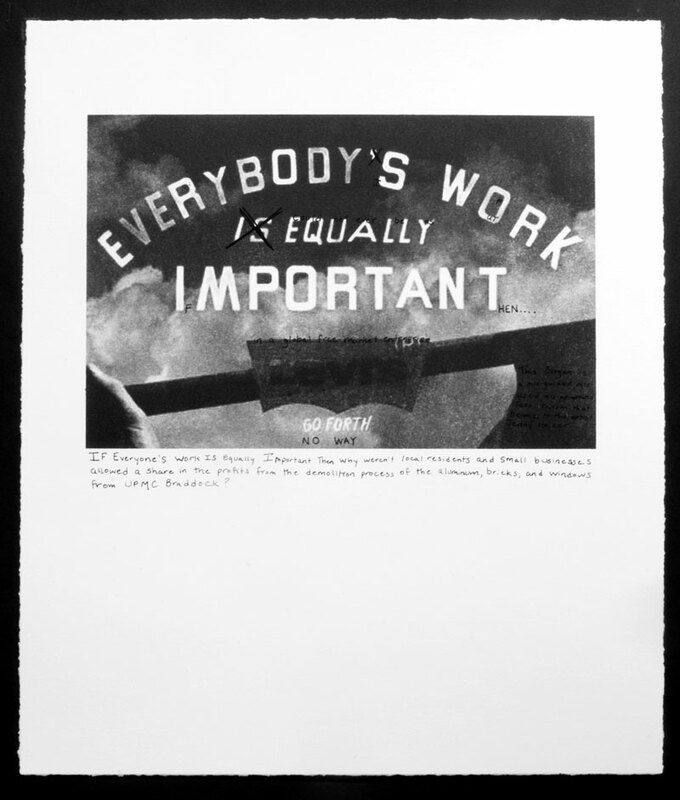 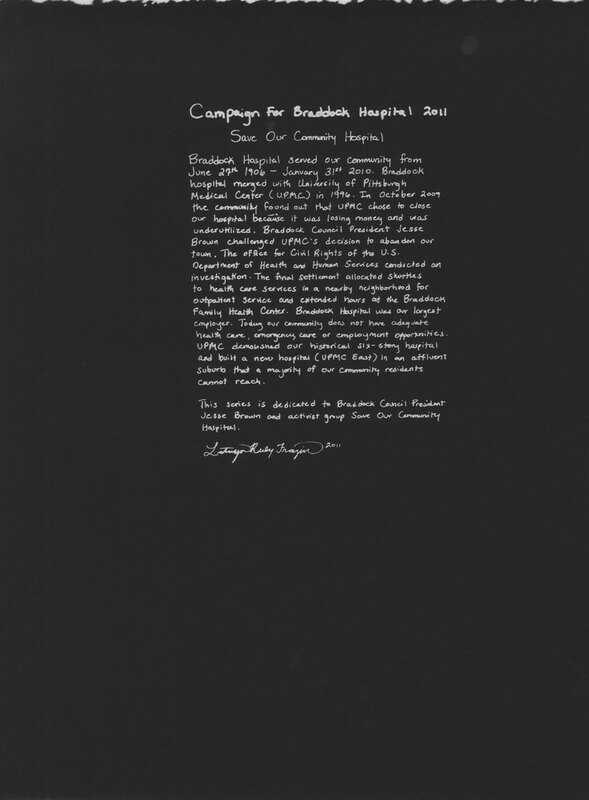 With her series Campaign for Braddock Hospital (Save Our Community Hospital), Frazier juxtaposes images of a Levi’s advertising campaign branding Braddock as a "new frontier" with photographs of her local community protesting the recent closing of the town's only hospital and employer.